The online version of this article ( https://doi.org/10.1186/s13643-019-0995-7) contains supplementary material, which is available to authorized users. The discharge process in a pediatric emergency department (ED) can introduce vulnerability for parents and caregivers. Attention to this phenomenon is critical given that following a visit to the ED the majority of children are discharged home under the care of their parents [1, 2]. Ideally, parents should depart the ED with the necessary knowledge and skills to effectively manage their children’s care at home. However, following ED discharge, many caregivers and patients are unable to specify their diagnosis, list medications they received, outline post-ED care, or identify when to seek further medical attention [3, 4, 5]. The discharge process should include communication of important information about the child’s illness, verification of comprehension, and tailoring of the discharge instructions to address areas of misunderstanding . Yet, this is not always the parents’ experience, and evidence supports that poor quality ED discharge communication can impact subsequent health care utilization, including unscheduled return visits to the ED [7, 8]. Comprehension of discharge communication has been shown to be an important factor in promoting adherence to discharge instructions and preventing unnecessary return visits; however, comprehension is rarely assessed in practice . A number of factors are known to impact comprehension including quality of the communication provided , health literacy, numeracy, and reading ability [11, 12, 13]. A total of 5095 studies were identified by the search. Of these studies, 4734 studies were excluded at the title and abstract phase and 342 were eligible for full text screening. A total of 265 articles were excluded at the full text screening stage (see Additional File 3), resulting in 75 articles included in the review (Fig. 1). Half of the included papers were observational studies (n = 37) [23, 24, 25, 26, 27, 28, 29, 30, 31, 32, 33, 34, 35, 36, 37, 38, 39, 40, 41, 42, 43, 44, 45, 46, 47, 48, 49, 50, 51, 52, 53, 54, 55, 56, 57, 58, 59] and 47% (n = 35) were either randomized controlled trials (RCT) or quasi-experimental studies [60, 61, 62, 63, 64, 65, 66, 67, 68, 69, 70, 71, 72, 73, 74, 75, 76, 77, 78, 79, 80, 81, 82, 83, 84, 85, 86, 87, 88, 89, 90, 91, 92, 93, 94]. Three qualitative studies were also included [95, 96, 97]. Characteristics of the included studies are presented in Table 1. Detailed about excluded studies can be found in additional Table 2. Included studies covered a range of settings: pediatric ED, mixed ED (adult and pediatric), urban, rural, and academic teaching facilities. Although included studies focused on a variety of illness presentations, asthma (n = 20) was the most common [27, 29, 39, 42, 46, 61, 62, 65, 67, 70, 75, 77, 79, 80, 81, 82, 83, 85, 89, 90]. Other common illnesses were minor head injury (n = 12) [30, 34, 36, 44, 48, 50, 51, 56, 58, 68, 86, 94] and fever (n = 9) [35, 46, 64, 67, 68, 71, 72, 78, 88]. Outcomes varied across included studies but primarily involved improving parent adherence with discharge instructions or follow-up appointments (n = 12) [60, 61, 66, 75, 77, 81, 82, 83, 84, 85, 90, 93], improving parent knowledge of illness treatment (n = 7) [63, 65, 67, 68, 70, 71, 72], and reducing unnecessary return ED visits (n = 5) [62, 64, 69, 88, 89]. All studies were published from 1979 to 2018, with just over half (n = 41) of the studies published since 2009 [23, 24, 25, 30, 32, 33, 34, 37, 40, 42, 44, 45, 46, 47, 48, 49, 50, 51, 52, 55, 56, 59, 61, 64, 65, 66, 67, 68, 71, 72, 73, 75, 76, 79, 81, 83, 85, 92, 94, 96, 97]. The 24 RCT were appraised using the Checklist for Randomized Controlled Trials and 46% of the studies (n = 11) did not clearly identify if a true randomization method was used. Additionally, only four RCT clearly stated how allocation concealment was used during the study [60, 61, 62, 63]. The majority of studies (27/44) leveraged a single intervention function type and focused on a range of illness presentations (Table 3). Twenty-three of these involved an education (sharing information) function and primarily focused on evaluating different modes of delivering information about an illness or instructions for managing care at home [27, 32, 33, 51, 54, 59, 60, 64, 65, 66, 67, 68, 69, 70, 71, 72, 73, 74, 75, 76, 77, 78, 94]. Almost half (10/23) of these studies examined the use of technology, including video [64, 65, 66, 67, 68, 69, 70, 71] or interactive websites [72, 78], as education delivery systems. Technology-enabled tools were used as stand-alone delivery systems [64, 65, 66, 67, 72] or enhanced with written and/or face-to-face interaction with staff [68, 69, 70]. All studies targeting parents in the ED had a primary goal to increase knowledge [65, 66, 67, 68, 71, 72], adherence to guidelines , or reduce unnecessary ED return visits . Only one technology-enabled education type intervention targeted healthcare providers and evaluated the effect of two 30-min online tutorials for ED nursing staff focused on physiology and management of fever and febrile convulsions on the discharge advice given to parents . Overall, technology-enabled education type interventions targeting parents had a positive impact on knowledge acquisition and adherence to guidelines, but were not effective in reducing unnecessary return visits to the ED (Table 2). The remaining education type intervention studies (13/23) examined printed discharge communication alone [73, 77, 94] or with other supports such as cartoons [33, 60], verbal reinforcement of written instructions [51, 54, 59, 74, 75, 76], confirming appropriate understanding through observation of parent technique , or verbal instructions alone . These studies targeted a range of illness presentations and examined a variety of outcomes including feasibility in the ED, improvement of parent’s knowledge, comprehension and/or recall about specific diagnosis, important signs and symptoms or treatment instructions, and adherence to instructions (including follow-up). 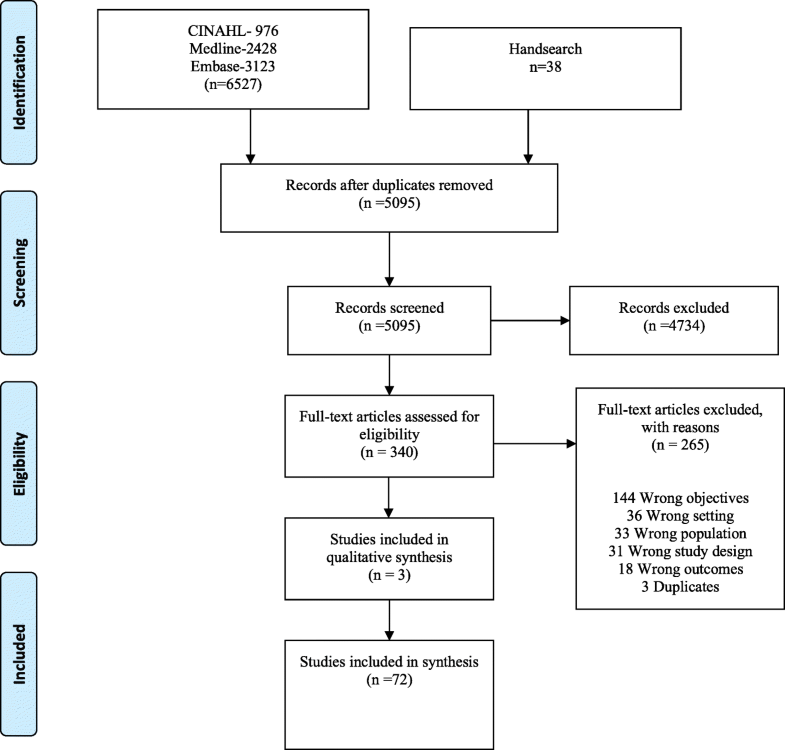 Overall direction of effect was positive in most studies examining parent recall of discharge information [33, 51, 76] and knowledge and comprehension [54, 59, 60] (Table 2). Five studies reported using a combination of three different intervention function types, including education, enablement, environmental restructuring, training, and incentivization [61, 62, 89, 90, 91] (Table 2). Four of the studies were focused on improving asthma management following an ED visit and one was focused on improving care provided to adolescent females who attempted suicide and presented to an ED. Three of the four asthma-focused studies used education in combination with enablement and environmental restructuring [61, 62, 89]. Most studies provided few details about the timing of intervention implementation, typically referencing that it was provided during the ED stay [60, 61, 63, 64, 66, 67, 68, 73, 74, 76, 80, 81, 82, 83, 84, 85, 86, 87, 88, 89, 90, 91, 92]. Thus, it was difficult to determine the exact point during the care process the intervention was delivered and the duration of the intervention. When specific timing of the interventions was indicated, it was either described as at the time of discharge , upon ED admission , directly following triage , or after the child was evaluated by an ED physician . 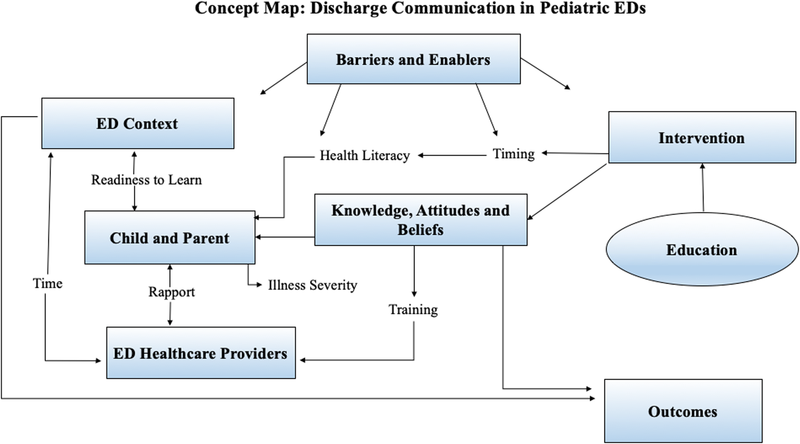 Barriers and enablers to successful discharge communication were identified at a number of levels, including the intervention, healthcare providers, child/parent, and the context in which care is delivered. The majority of interventions targeted parents and included education as a core strategy. Although not explicitly stated, the educational interventions in the studies appear to operate on the assumption that imparting information will improve health care provider or parent knowledge and subsequently change behaviors. Few studies used theory to guide design of the intervention [71, 80, 81, 83, 84, 89, 90, 95], and there was no formal assessment of potential barriers to changing parent, child, or health care provider behaviors. This made it difficult to understand how the interventions were expected to improve outcomes. Barriers related to intervention design (language, literacy level, content, readability) and delivery (timing during the visit, duration, fidelity, mode, extent of interactivity) were identified as important factors across a number of studies [26, 55, 57, 60, 65, 66, 67, 74, 78, 84, 86, 89, 99]. While there was variation in who delivered the interventions, it is important to highlight that in a number of the experimental trials, the interventions were delivered by individuals who were not regular members of the ED team [33, 51, 59, 63, 64, 66, 69, 70, 72, 73, 79, 82, 85, 88]. A collaborative approach to co-designing interventions was proposed by some authors as a possible strategy to enhance implementation [33, 40, 49, 70]. 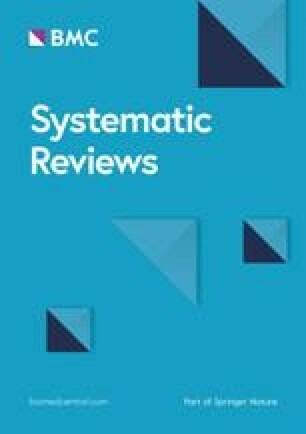 Although there was wide variation in primary outcomes across studies, parent knowledge, comprehension, and recall were deemed important outcomes in a number of studies [33, 51, 59, 63, 65, 67, 68, 70, 71, 72]. Unfortunately, there was little consistency in how knowledge, comprehension, and recall were measured across these studies. Many of the educational interventions included in our review relied on passive dissemination strategies to deliver information. Yet, we know that behavior change requires more than simply the acquisition of knowledge . Passive dissemination of educational material is rarely effective in changing the behavior of providers or improving patient outcomes [106, 107]. Adults learn best when there is a perceived need, active participation, reinforcement of new behaviors, and immediate feedback and correction of misconceptions [108, 109]. Active engagement in learning such as the use of teach-back strategies have been associated with improved comprehension, more patient-centered communication, and increased engagement of parents [110, 111, 112]. Teach-back is a way of checking comprehension by asking patients to repeat back in their own words what they have been told by their health care provider . However, further research is needed regarding the efficacy, feasibility, fidelity and acceptability of teach-back in an ED setting . The use of behavior change theories to specify behavioral targets and guide intervention design in future discharge communication studies are needed to strengthen this body of literature and assist with identifying and evaluating the “active ingredients” that affect intervention outcomes .